So, I like to add more onions in my sundal except when I Make it for Neivedyams. 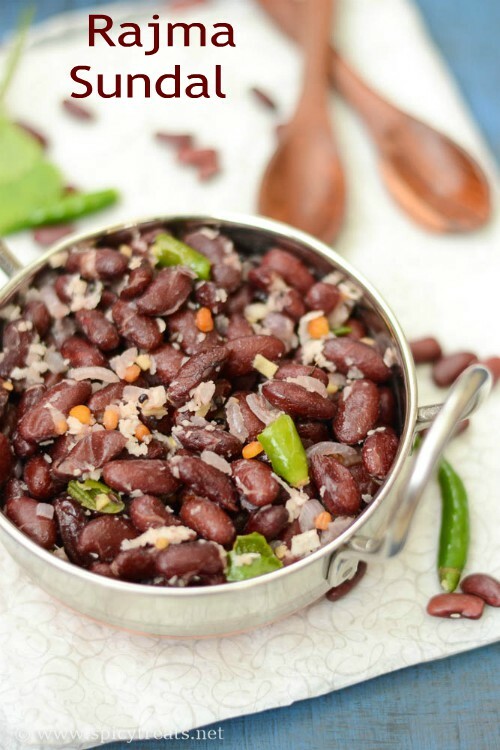 Few days back I made this Rajma Sundal for my kids after school snack and they loved it. Sundals are one of the best way to make your kids eat Legumes & Lentils. 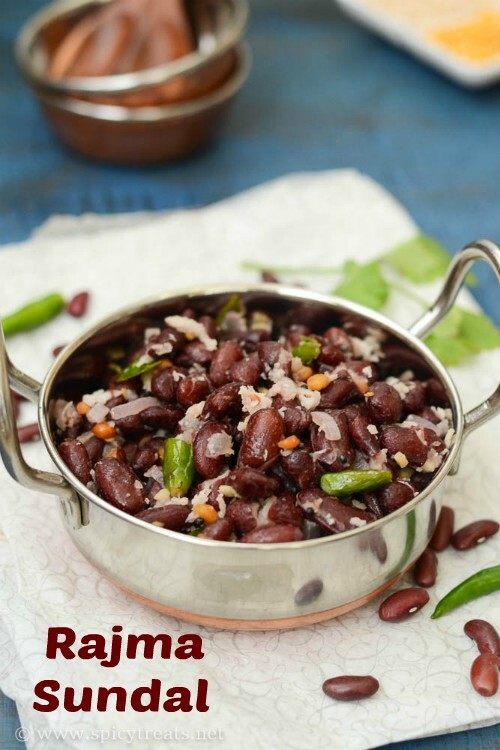 Do try this Rajma Protein rich Sundal and am sure your kids will love it. 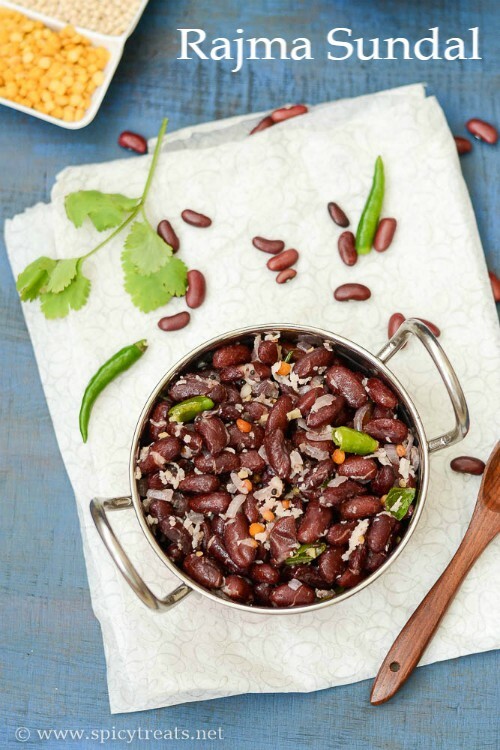 Soak Red Kidney Beans for at least 6-7 hrs or over night. After soaking pressure cook it with enough water and 1/2 tsp hing for 2 whistles. Meanwhile Chop onions, green chillies and ginger finely. Once pressure cools down open the lid and drain the cooked beans using colander and keep ready. 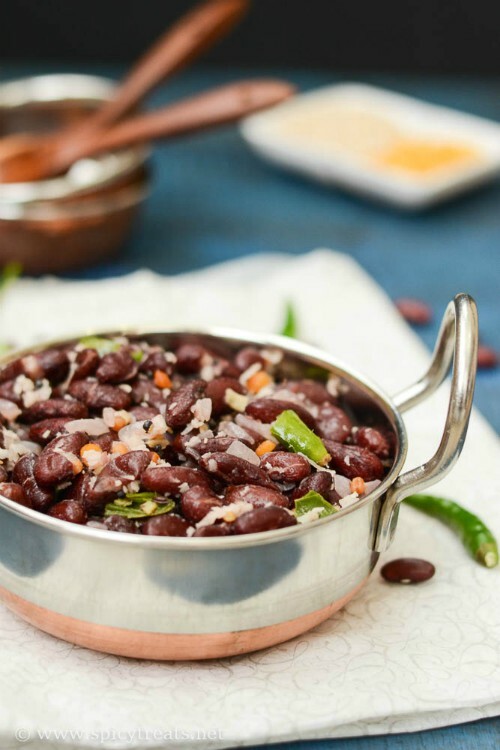 Add chopped onions curry leaves,ginger,green chillies and saute for few minutes, then add cooked kidney beans, remaining 1/4 tsp Hing and salt as needed, stir well and cook covered for a minute. Then open lid and give a nice stir and then now add shredded coconut( if using) and stir fry well. That's it..Rajma sundal ready. Garnish with some chopped coriander leaves and Serve Warm. You can skip Onions if using it as Prasadam or if you don't like onions in sundal. Adding coconut is also optional. You can also add peanuts along with channa & urad dal to get crunch in the sundal. 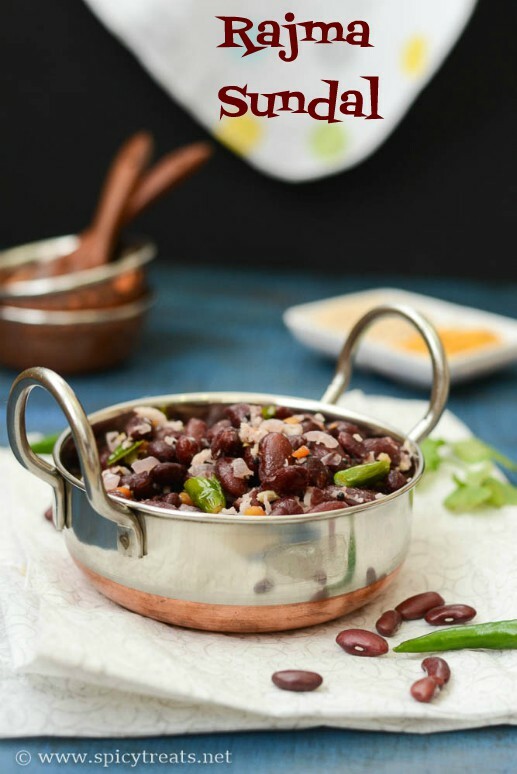 Step By Step Pictures for Rajma Sundal Recipe..